Can We Come with the Tow Truck? Yes you can. 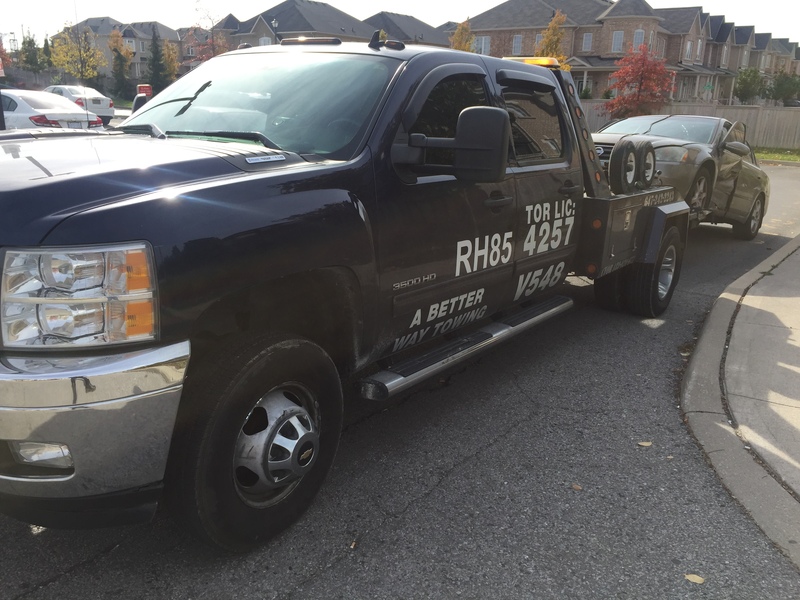 Our Trucks have always Extra seats for another 3-4 people to ride with the driver while your car is being towed in Vaughan. Also our trucks are newer so you can be sure to Enjoy the Safe ride. Will my Car get damaged while being towed? Absolutely Not. Those days the towing system uses lifting techniques that touch only the tires of the car. The actual car never touches the lift of the tow truck so its completely safe and secure. your car will be Hooked up, Towed and delivered to wherever you going Damage Free just the same way it was before it got towed. I’m in a Hurry, Can You tow me faster? If you in a hurry we can put a rush on a call to get to you faster, it all depends on the traffic before the tow truck arrives. If you need to get to the destination you can ask the tow truck driver to use HWY 407 with a $20.00 Charge.